Contemporary style meets artisan craftsmanship in the impressive and handcrafted Copperstone fire pit. 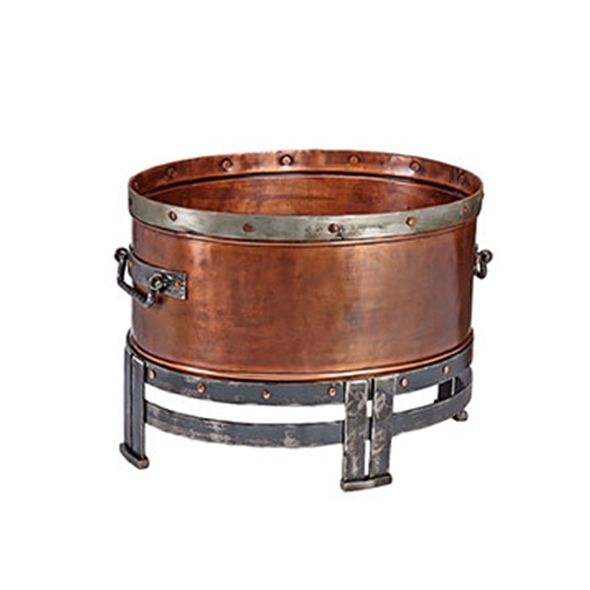 Invite family and friends to gather around the 100% copper bowl, which radiates deep, even warmth and provides a cozy sensation even on evenings of 40 or 50 degrees. The power and style of the Copperstone design make it a sophisticated addition to indoor decor as well - simply add a glass top to transform it into a stylish coffee table.